Officers from the South-West Command Unit are investigating an incident in which young girl was left with a fractured skull after a collision with a man on a bicycle. 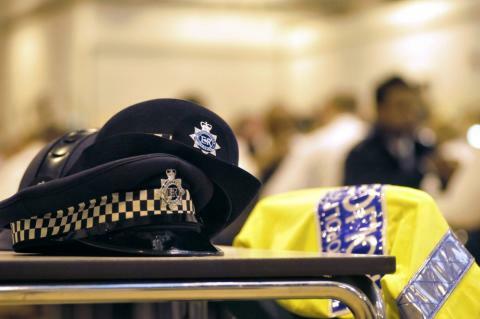 On the evening of Friday, 29 June, the victim, a nine-year-old girl, was playing football with friends in Dovecote Gardens (Jubilee Gardens) close to Mortlake High Street, SW14. A man on a bicycle was cycling at speed with his dog attached to the bike via a lead. The dog lead struck the victim's legs, knocking her over. The man stopped to remove one of the victim's shoes, which had become stuck in his bike wheel, before cycling off. He returned a short time later and briefly spoke to the victim's mother. She was unable to take his details as she was tending to her daughter and the man again left the scene. The girl was taken to hospital after the incident, where it was found that she had suffered a fractured skull. She has since been discharged from hospital. The suspect is described as a white man, aged between 50 and 60 years old, with grey hair. He was wearing a light green T-shirt and a khaki green fisherman-style hat. Police would like to appeal to the man to come forward, or for anyone with information to contact police on 101 quoting reference 1996/2 July.